The Doris Wood Branch in Batavia houses the Clermont Genealogical Society’s collection of local history and genealogical materials. Patrons can use two readers to view the microfilm collection. A printer also is available. Patrons may view microfilm of The Clermont Sun and Clermont Courier newspapers. Issues of the papers go back to the mid 1800s. The Batavia Branch opened in 1961. The original building consisted of a garage for two bookmobiles, space for the collection and for processing materials, workspace for the small staff, and a two-story wing of four apartments that generated money for the library system. In 1990, the branch was renamed to honor Doris E. Wood, the library’s first head librarian. 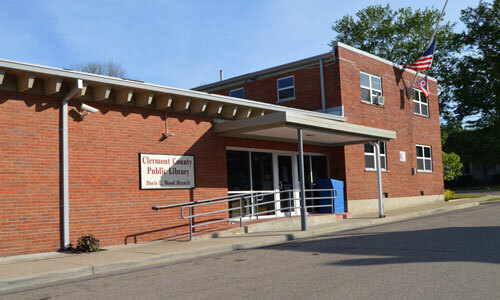 Wood also was instrumental in creating the Clermont County Genealogical Society.